If you have regularly occurring events, event templates can save a lot of time. 2. Click the red Administration icon and click Manage templates. A new page will appear. The page will display the templates that have been created for your group. Enable or disable templates by clicking the icon to the right of the status. Templates are automatically created when you add new events. 2. Click the red Administration icon and select Add Event Using a Template from the list. 3. 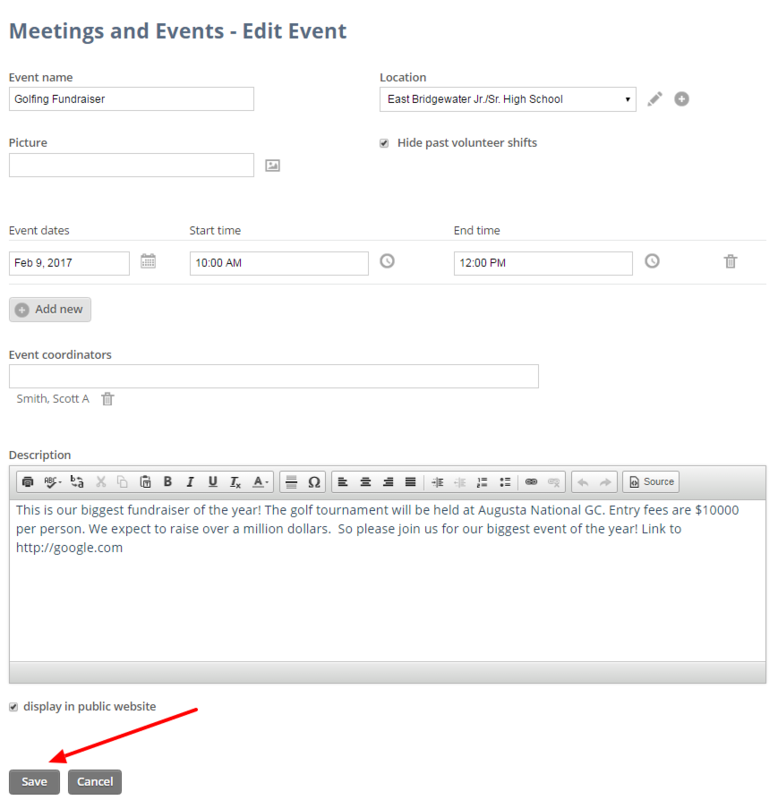 Choose a template from the drop down menu, select the date and assign event coordinators by starting to type their name and selecting it from the list of club members. Click Add new event button to save. 4. The details of the event will appear on the page. To update any information, click the red Administration button and click Edit. 6. You can edit details like event name, location, event dates, coordinators including the description. You can also upload a picture for the event. Click the Save button once done. Important! A new template is automatically created when you add a new event. It is important to note that if you choose Add event using a template, it will not be saved as a new template.